WASHINGTON — The Environmental Protection Agency on Wednesday announced a $4 million grant to help Fairbanks pay for replacement of wood-burning appliances with less-polluting options. The EPA's new Region 10 administrator, Chris Hladick, an Alaskan, said Fairbanks has been "making progress and air quality looks to be improving. There is still work to do to get to healthier air, and if we all keep working together, we'll get there." The Fairbanks North Star Borough has for years failed to meet federal standards for fine particulate matter — particles of dust smaller than 2.5 micrometers in diameter. The pollution can cause respiratory and cardiovascular problems. The wood stove change-out program is key to progress in the area, said Alaska Department of Environmental Conservation Commissioner Larry Hartig. The new grant follows a similar $2.5 million grant from the EPA last year. The grant is among $30 million the agency is providing to nine projects in Alaska, California and Utah to improve air quality. Alaska Sen. Lisa Murkowski, in a statement released by the EPA, said she worked to increase funding for the grant program through the congressional appropriations process. Murkowski is chair of the subcommittee that oversees the EPA's budget. "Interior Alaska faces some of the most extreme temperatures in the nation, and ensuring affordable and reliable ways for Alaskans to heat their homes during the winter and keep the lights on during prolonged darkness is extremely important," said Alaska Sen. Dan Sullivan, who called the federal grant "a step in the right direction." The grant will help people in the Fairbanks region "breathe a little easier," Alaska Rep. Don Young said in a statement released by the EPA. 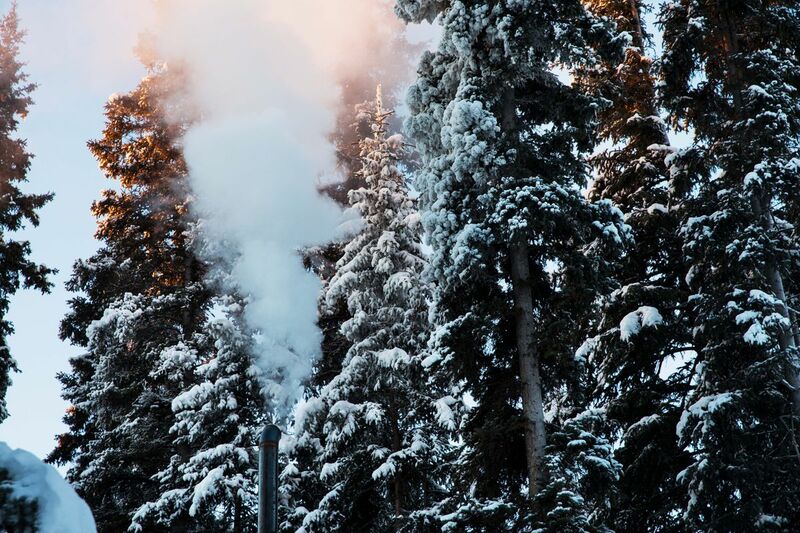 "Recently, a report found that Fairbanks has the worst fine particulate pollution in the U.S., and in a region with such extreme winter weather, residents need an adequate source of heat. Burning wood has historically been an excellent heat source, but now the risks are too high," the Young statement said.